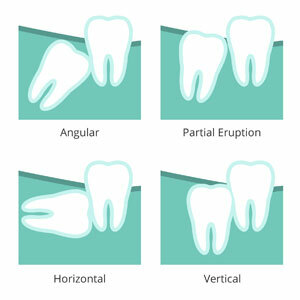 At Smile Creation, wisdom teeth can be removed in-house by our gentle, experienced team. Wisdom teeth are the last molars, which usually erupt in the late teens or early twenties, and can cause a variety of problems that affect your overall oral health. By having them comfortably removed, you can protect your smile. We strive to reduce any discomfort you may feel and offer sedation dentistry when necessary. Contact us today to discuss having your dental needs addressed!